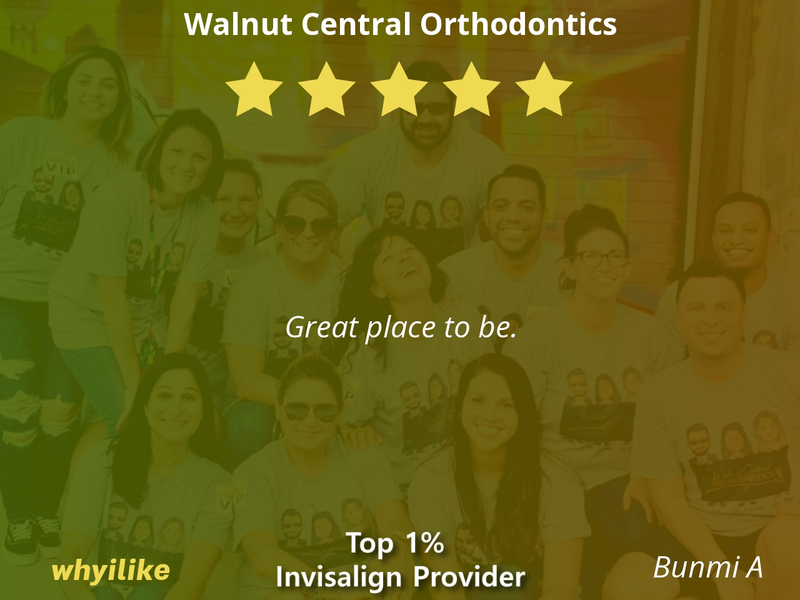 Welcome to Walnut Central Orthodontics, one of the most popular orthodontic offices in Dallas, specializing in braces and Invisalign®! 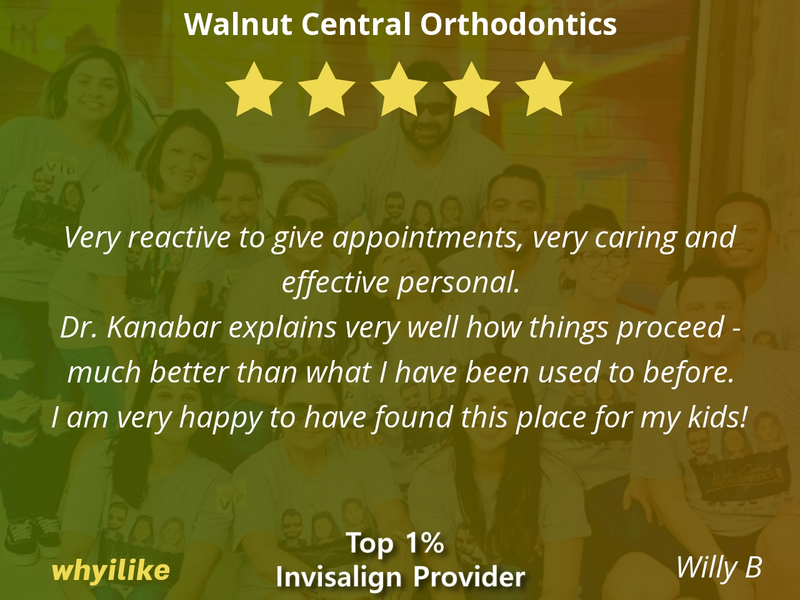 Dr. Joshika Kanabar’s & Dr. Junyi's experience and achievements allow them and the Walnut Central Orthodontics team to immediately place you at ease. 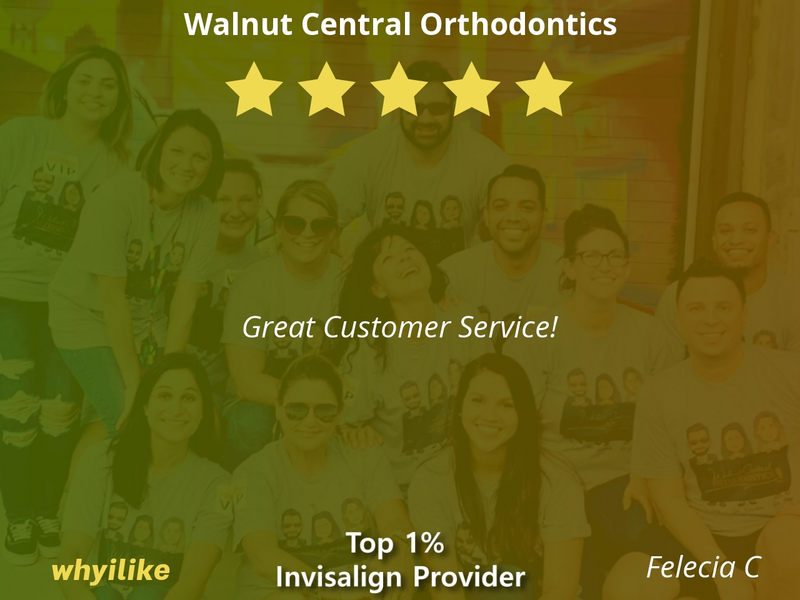 They are very personable and will spend the time to listen to you and your concerns to help you achieve the best smile you can achieve. 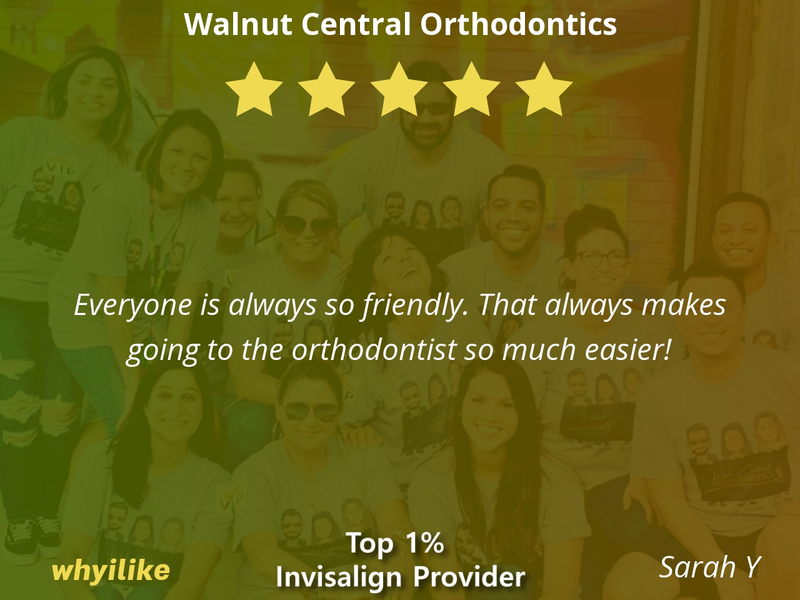 If you have been told you are not a candidate for Invisalign, please call us for a 2nd opinion. 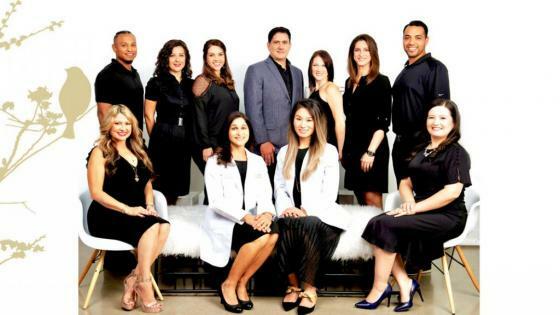 If you are not sure of your or your child's treatment plan, call us for another opinion as everyone has a different approach to a successful result. 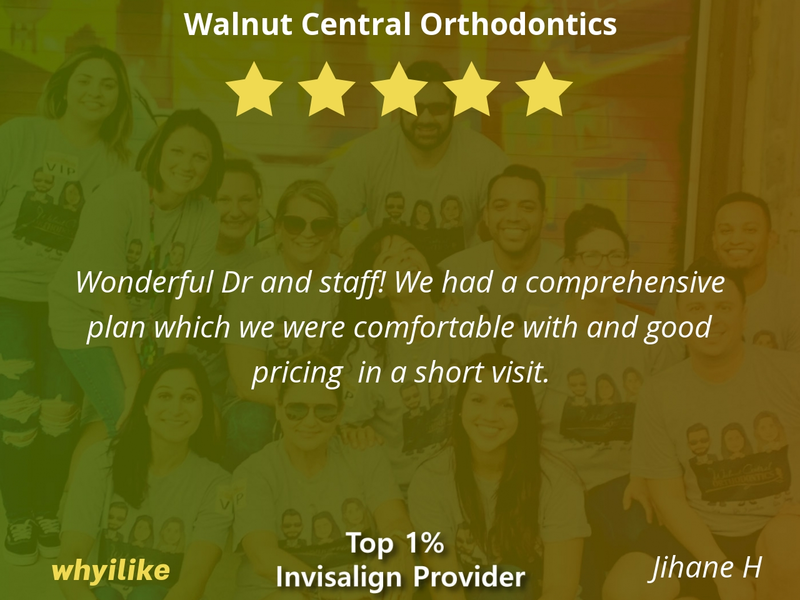 Dr. Kanabar's & Dr. Junyi's orthodontic treatments are known by their peers to be quite conservative, especially in treating Phase 1 cases for children under 12. Again, consultations and X-rays are complimentary. Everyone is always so friendly. 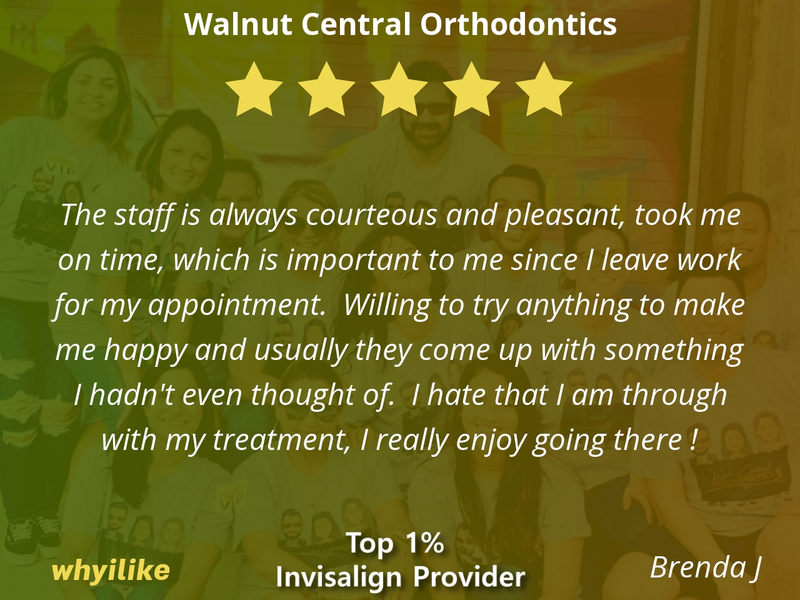 That always makes going to the orthodontist so much easier! It was my first regular visit. Everything was perfect. Hardly any wait time and great service by the staff. 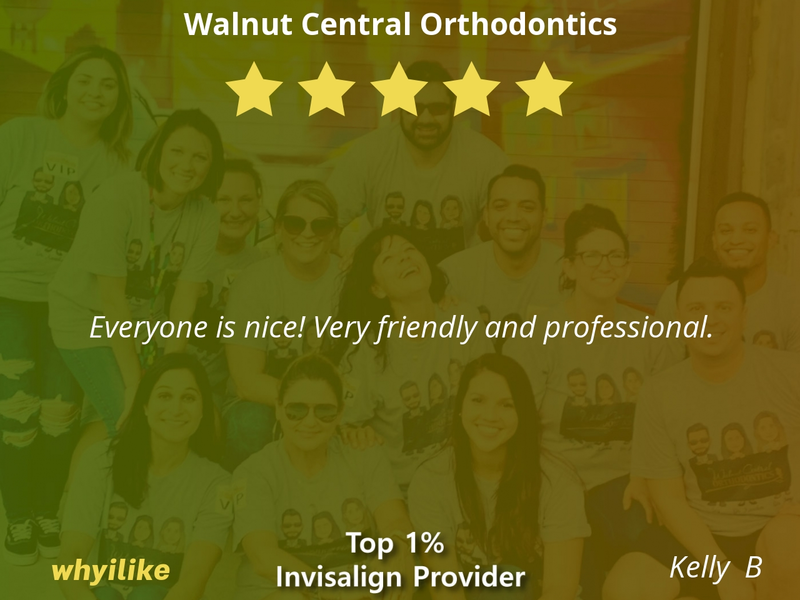 The staff was friendly and professional. 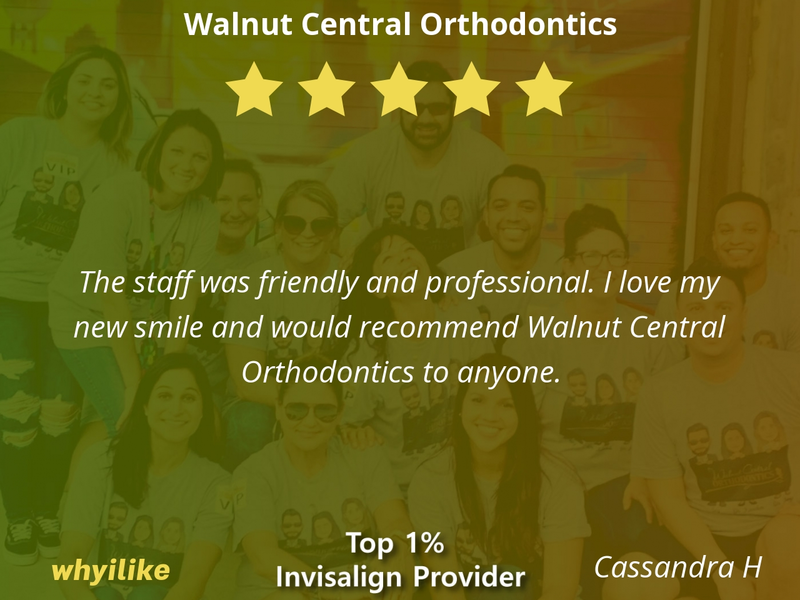 I love my new smile and would recommend Walnut Central Orthodontics to anyone. 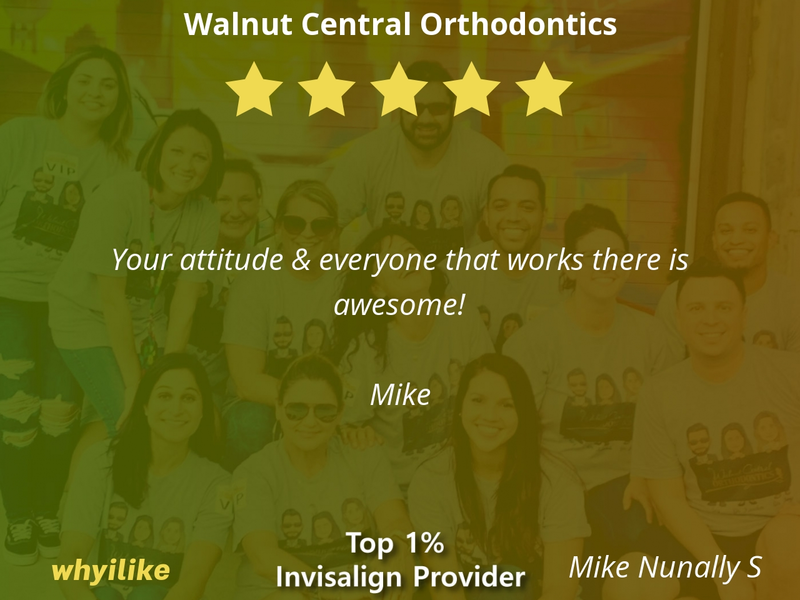 Your attitude & everyone that works there is awesome! Very reactive to give appointments, very caring and effective personal. 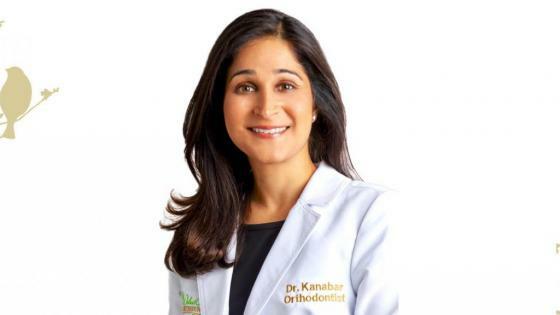 Dr. Kanabar explains very well how things proceed - much better than what I have been used to before. I am very happy to have found this place for my kids! 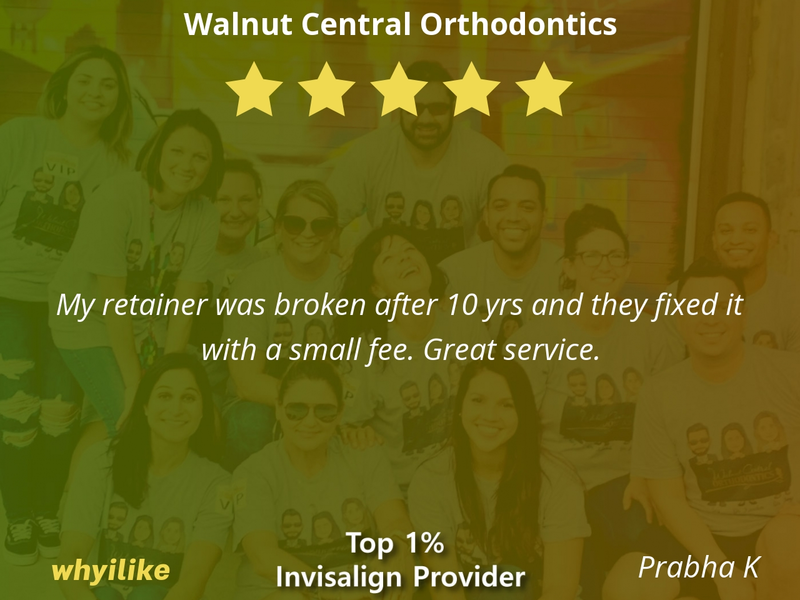 My retainer was broken after 10 yrs and they fixed it with a small fee. Great service. 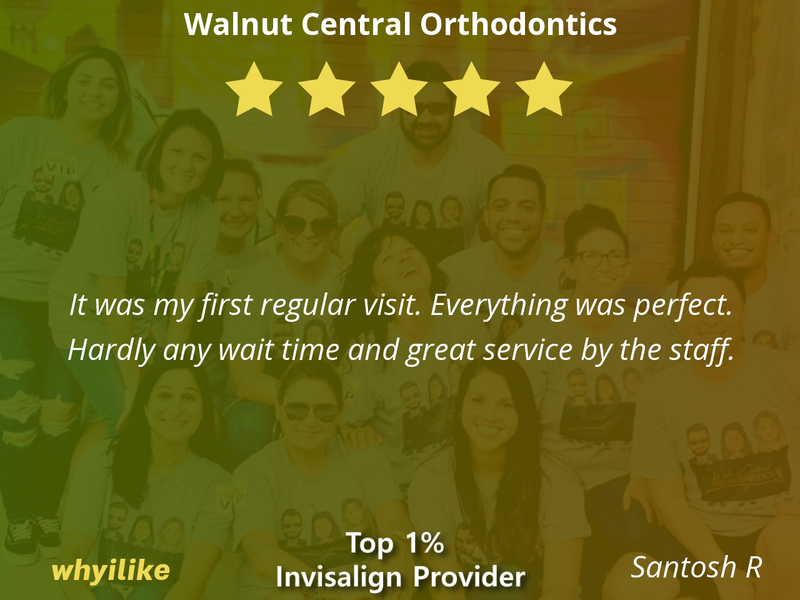 The staff is always courteous and pleasant, took me on time, which is important to me since I leave work for my appointment. Willing to try anything to make me happy and usually they come up with something I hadn't even thought of. I hate that I am through with my treatment, I really enjoy going there ! Everyone is so professional but also very personable! Friendly, professional and timely. Thank you! 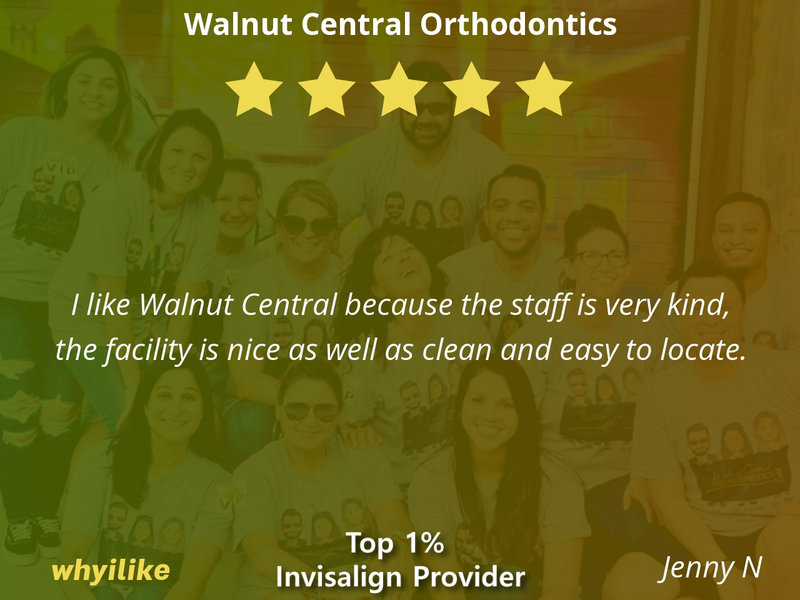 I like Walnut Central because the staff is very kind, the facility is nice as well as clean and easy to locate. 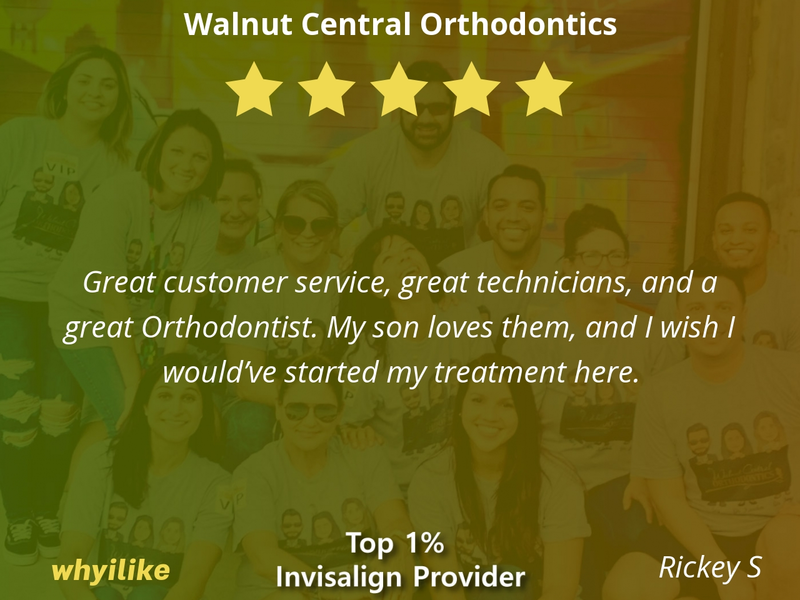 Great customer service, great technicians, and a great Orthodontist. My son loves them, and I wish I would’ve started my treatment here. 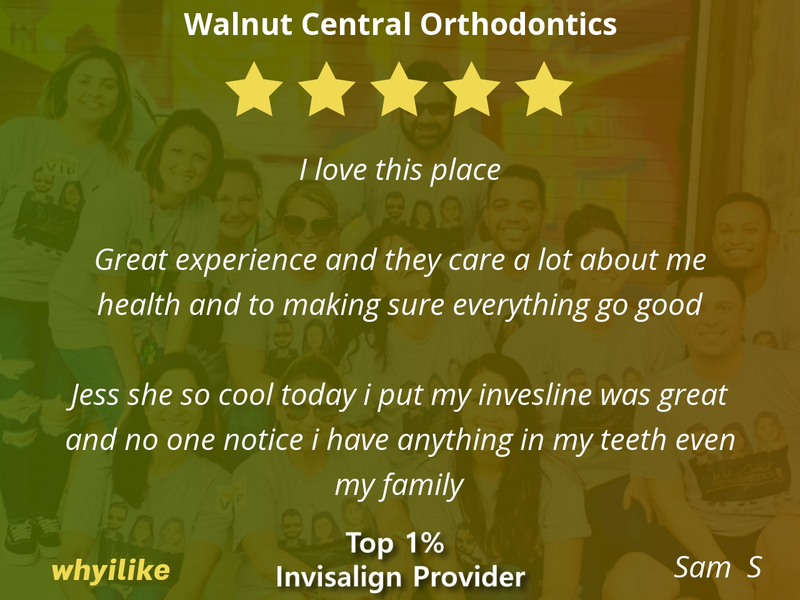 Wonderful Dr and staff! We had a comprehensive plan which we were comfortable with and good pricing in a short visit. 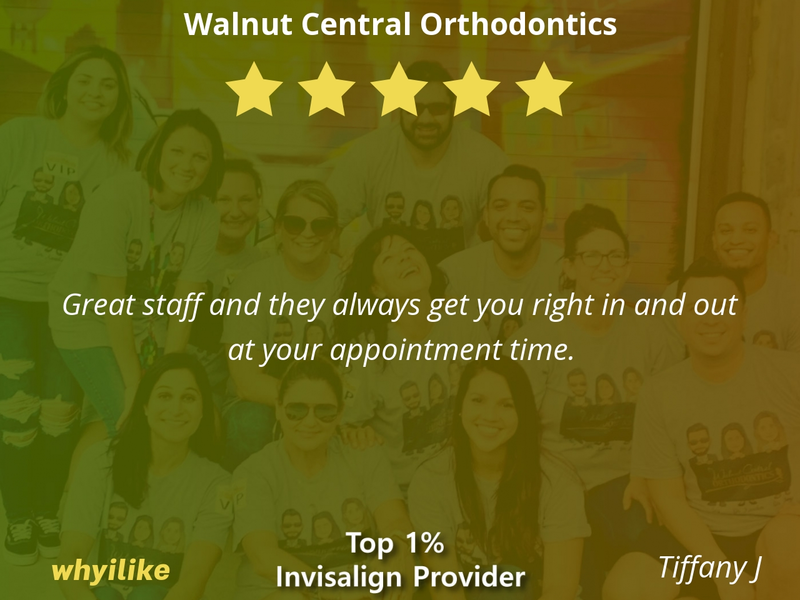 Great staff and they always get you right in and out at your appointment time. Everyone is nice! Very friendly and professional. I have been so impressed with my experience so far with Walnut Central Ortho. 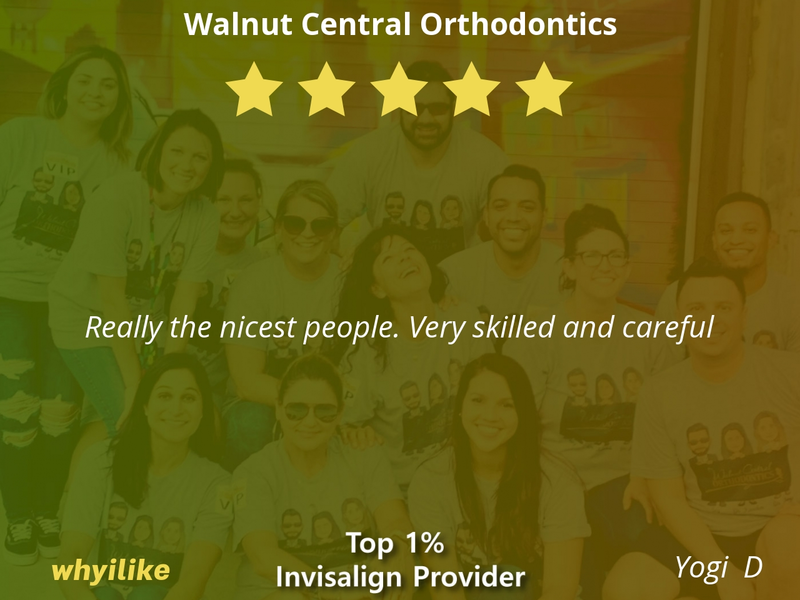 All of the staff are professional, kind, and helpful. 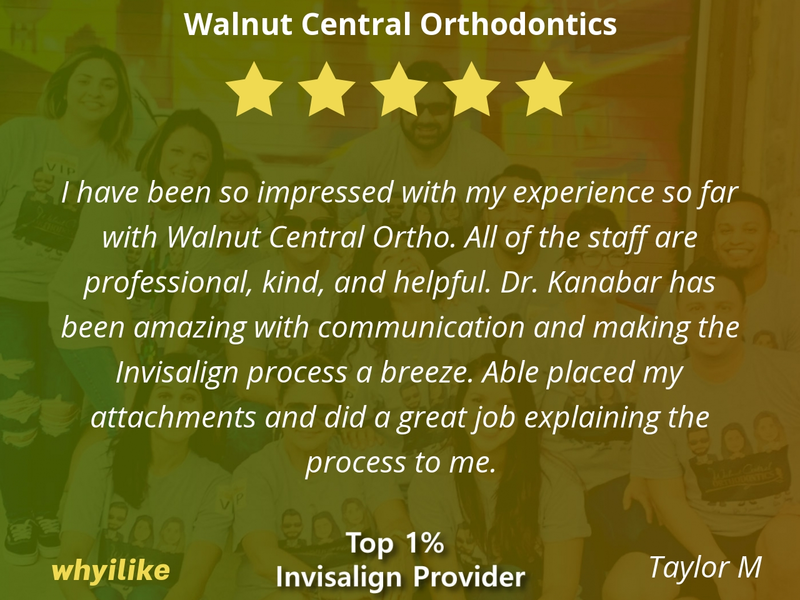 Dr. Kanabar has been amazing with communication and making the Invisalign process a breeze. Able placed my attachments and did a great job explaining the process to me. 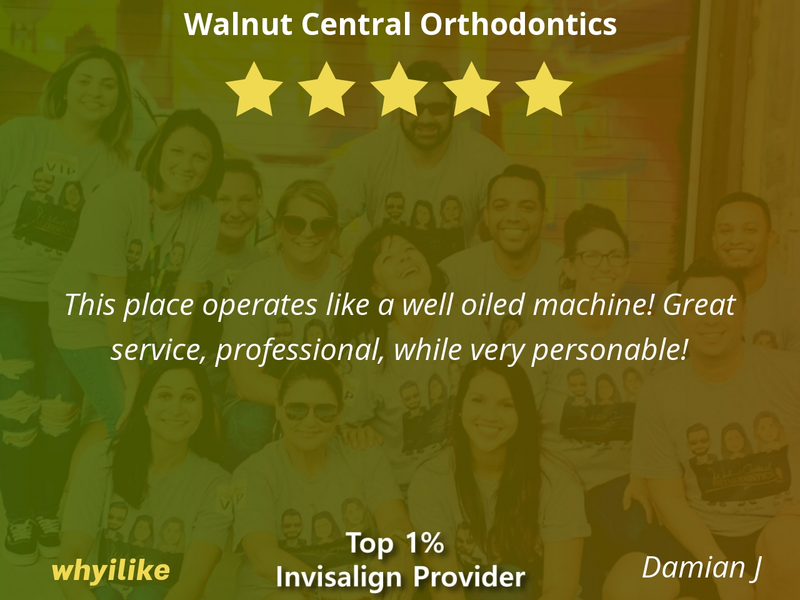 This place operates like a well oiled machine! 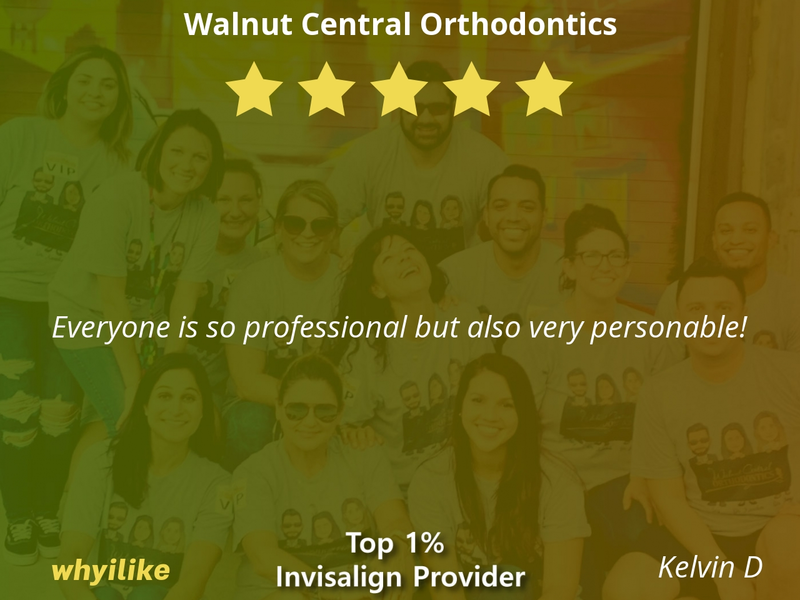 Great service, professional, while very personable!